As we approach Easter and go through the season of lent, Christianity is more prevalent in the media. 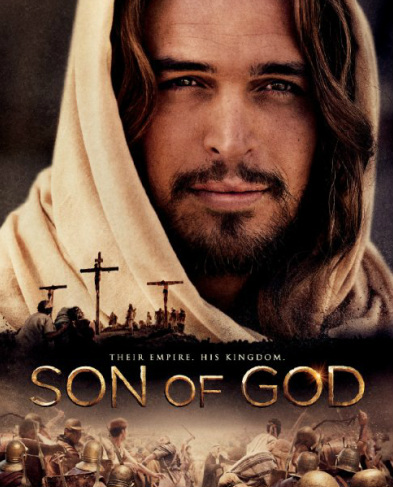 Multiple religious movies have begun to pop up in theatres, including “Son of God” and “Noah.” “Son of God,” a spin-off from the 2013 television mini-series “The Bible,” follows Jesus on his spiritual journey and ministry leading up to his crucifixion and resurrection. It received a rating of 5.5 out of 10 on IMDB. Noah” shows the well known story of the arc and features a cast of A-list celebrities such as Russell Crowe, Emma Watson, Jennifer Connelly and Logan Lerman. “Noah” received a rating of 6.6 out of 10 on IMDB and has often been reviewed as having many biblical inaccuracies but incredible effects. Another recent Christian themed movie released is “God’s Not Dead”. “God’s Not Dead” is about a college student who challenges his professor when he puts down religion. He goes on to prove to the professor and the whole class that God is alive. The movie was overall a decent film, but had some issues that made it appear low-budget despite it’s two million dollar budget. The actors performances weren’t amazing and some of the lines were pretty corny, but the worst performances came from the guest celebrities including Willie and Korie Robertson of the TV show “Duck Dynasty”. There was no point to including them in the film and time wasted including them could have been put to better use; like a giving a haircut to the wanna-be-’N Sync priest or developing a realistic relationship between the main character and his girlfriend. Through most of the movie I didn’t feel pressure to conform or convert, until the end. I believe the ending was supposed to come across as inspiring and show resolution, but they went too far. I also didn’t agree with the way they portrayed atheists. At one point in the film, there is a scene change and the word “evil” is spoken as the main atheist’s face is on the screen...very subtle. Some things I did enjoy about the movie were the multiple points of view, the strong, independent female roles, the scientific and factual approach used to explain Christianity, and the morals like “always stand up for what you believe.” Although the movie was interesting to watch, there were no incredible effects or breathtaking visuals requiring a 70 ft screen, so I would recommend saving your money and waiting for it to be available online or in stores. After watching these films, I felt like a had gained a new perspective on understanding religion. I’ve always found that I learn better when I have a visual representation like a movie. I think these movies could become a new medium for spreading and expressing religion. Keep a look out for another movie that recently came out called “Heaven is for Real”. This film is about a young boy who dies and experiences heaven before being revived and a father’s struggle to defend his son against all odds.